The Metropolitan Design/Build team is one of Maryland / DC metro area’s industry front-runners in roofing insurance claims. Our company offers the services listed below in our efforts to help get your insurance company to pay for your new roof. A roof inspection which includes inspection of all vents, ventilation systems, flashing, pipes, pipe boots, soffits, fascia, gutters, siding, and all underlayment materials including wood decking and asphalt felt. 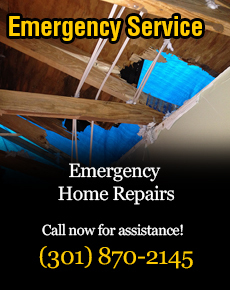 We closely inspect for storm, hail and other weather-related damage. If we determine and believe your roof is qualified for replacement, we will schedule a time to meet you and your insurance adjuster at your property to participate in the adjuster’s review and point out any and all damages that we have documented during the roof inspection. Metropolitan Design/Build will then work closely with you and the insurance adjuster to ensure the proper roof repair is made and that your insurance company will cover the repair costs. We can help in negotiating any differences the insurance company may have to make sure your roof is properly repaired or replaced. We have 26 years of experience dealing with insurance companies and roofing claims and have relationships with many of the insurance companies. We will work vigorously with you and your adjuster to ensure that your claim receives the maximum value replacement estimate for which you are entitled. If you are experiencing a leaking roof as a result of a storm or other type of damage you should first contact Metropolitan Design/Build right away. We will stop any water or outside elements from entering your home causing further damage. Your roof should be safe. That’s the bottom line and we can help determine your situation quickly and affordably. 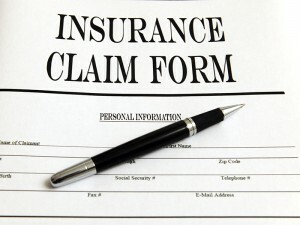 We work for you and will assist you in dealing with your insurance company. We have 26 years of experience in the roofing business and are licensed and insured and are members of the Better Business Bureau (BBB). We can make the whole process easy and affordable. Metropolitan Design/Build would be happy to answer all your questions and provide you with a free estimate for your roofing and home improvement needs.